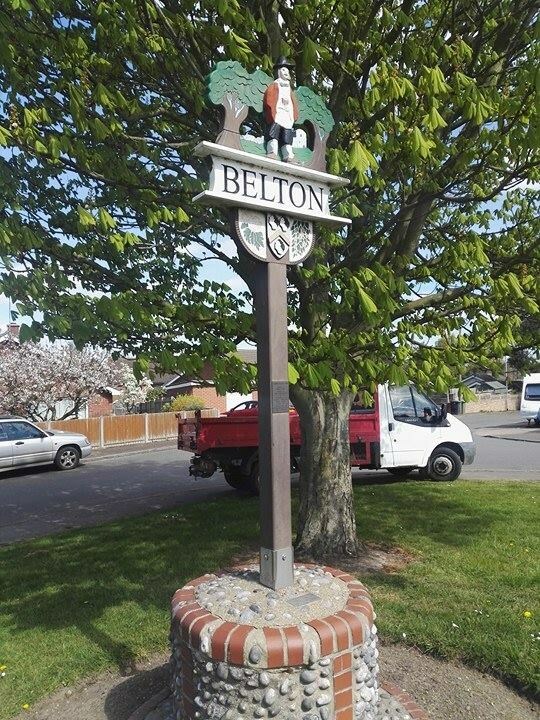 This is a continuation of the Village Sign series by adding Belton. There is a plaque on the sign which lists all the information needed to find the final hide. The sign depicts John Ives the antiquarian, wearing his Suffolk Herald's tabard. Beneath him are the Ives coat of arms, on either side of which are emblems representing market gardening. Behind the figure of Ives is Belton Church and some cottages. The sign was paid for by Parish Councillor John T. Berry who sadly died before its completion. K = The number of vowels in the last name of the person who designed it. N zrzore bs Zbagl Clguba'f Sylvat Pvephf jrag sebz jurer gb jurer?